I really enjoyed how De Rosnay chose to end her novel. In the final chapter, she meets up with William in a cafe in New York. In this conclusion, we learn a lot of final details. One major thing we learn is that Julia named her child Sarah, after Sarah Starzynski. We also learn that William is no longer married to his wife. After learning the truth about his mother, his whole life fell apart. When reading this chapter, I noticed a strong connection between Julia and William. One that is never spoken of, but very visible throughout their interactions throughout the novel. It ends by the two crying together. Nothing is ever said if anything happens between Julia and William or not. I think that this was wise of De Rosnay to do. It really leaves the ending up to the reader’s imagination. Personally, I think that the two will end up together. They have developed such a strong connection and it seems like neither of them can bare living without thinking of the other. I enjoyed reading this entire novel, and I think the ending was very tastefully done. 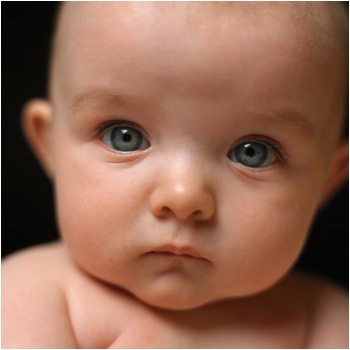 During the novel we learn that Julia choses not to abort the child. 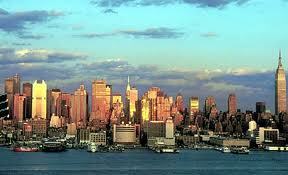 Jarmond and her recieve a divorce and Julia moves to New York. In the last few chapters of the novel, we learn that Julia has had the baby. De Rosnay leaves the reader in suspense as she only refers to the baby as “the child”. It is not until the second last page of the novel, that we learn she named her child Sarah. Sarah Starzynski changed Julia’s life. She would never forget her. This child also changed Julia’s life. There was no other name that she could have possibly given the baby. I think it was a very nice way to pay respect to Sarah. It was Julia’s way of showing her sympathy to the entire Starzynski family and to make them aware of how much the whole situation matter to her. William was shocked when Julia told him she named her daughter after his mother. This was something they shared. They figured out the story of Sarah together, and even though the novel never tells the reader if anything happens between Julia and William, I think they will end up together. They have developed such a strong bond that I don’t think they can ever forgot each other. A big mystery in this novel is of Julia trying to uncover what happened to Sarah. Julia puts a lot of effort into finding Sarah when she learns that, after Sarah moved to America, she wrote to the Dufaure’s once to tell them she is getting married and no more letters were sent after that. Sarah left no trace of where she was living but she did write that the man she was marrying was named Richard J. Rainsferd. With the help of her sister, Julia was able to track down where this man was living. After travelling to his house in Connecticut she finds that Richard’s wife is not Sarah. Sarah had died in a car accident years earlier and he remarried. Julia was shocked at this and she still felt that she needed to tell someone that Sarah and her family will never be forgotten. After learning that Sarah had a son who now lives in Italy, Julia travels there to meet him. She started to talk about Sarah and everything that happened to her. Her son, William, was not aware of the tragedies that his mother endured. William was not happy by what Julia told him and he never wanted to see her again. In time, he wanted to talk more about it and he even showed Julia a journal that his mother kept. It was in French so William could not understand it, but Julia translated it for him. After reading it, they learn that Sarah could not handle the burden of her brother, Michel’s death. She always felt responsible for it and she tried to hide her past from everyone. This pressure was too much for her and she even says that she wants to die. Julia and William learned that Sarah didn’t slip on black ice and hit and tree. She killed herself. The mystery of what happened to Sarah was finally revealed. 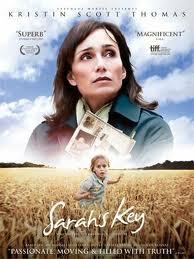 In 2010, the novel Sarah’s Key was made into a film. I was very excited when I saw this because it is a nice way to understand the book better. It is interesting to see how one person interprets the novel and how they visualize the characters. I hope to be able to have an opprotunity to watch this film as I really enjoyed the novel and I am sure that I will enjoy watching the film. I am interested to see how the producers chose to organize the various events that occur in the novel. In the book, it skips back and forth between two different settings, so I would like to see if they chose to do that in the movie as well. I think that De Rosnay is trying to communicate a few different ideas with this novel. First, I think she is trying to get people to have some knowledge of the events that happened during World War Two. Looking back at the war, many people think of the horrible things that the Germans and the Russians did. Many overlook what their own country was involved in. The Velodrome d’Hiver Roundup was one of the things that the French police had a hand in. They directly arrested the Jewish people living in their land, they were their neighbours. De Rosnay mentions how Sarah recognized some of the officers. Often she would pass them on the way to school, and they were very friendly to her. It really shows how personal this event was. While developing the story of Sarah and everything that she went through, De Rosnay sheds light on some of the horrible things that occured during World War Two. She helps us to remember the events that so many people tried to hide because we can really learn from it, and we can learn to become better people. It is important to look at everything that happened in the war, and remember that many countries did horrible things during this time. This will help us not to be prejudice towards different cultures. Another theme that she developes is that no matter how hard it is, we need to stand up for what we believe in. She developes this idea through the story of Sarah and of Julia. As mentioned above, many of the French officers that arrests the Jews are very familiar to Sarah. She recognizes them as men she often saw and was friendly with. Yet, these officers blindly listened to what they were told to do. They arrested and helped lead their own neighbours to their execution. 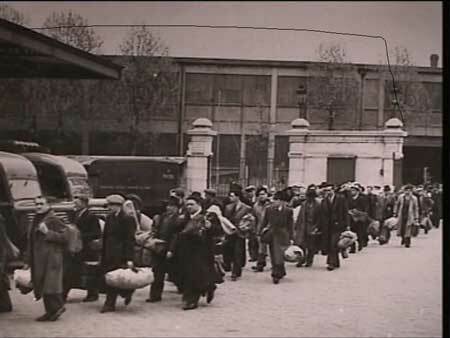 Then their were others who tried to help the Jews being taken away. For example the lady who tried to hand the children bread. Or Jules and Geneviève Dufaure, who willingly took in Sarah and Rachel who escaped. They even went as far as to hide them from the authorities and they raised Sarah, trying their best to give her a good life. People like them were honoured after the war for their courage. Julia also had to stand up for herself in the issue of the abortion. Her husband, Bertrand, wanted her abort their child, thinking he was too old for it. Julia on the other hand truly wanted it. Even though it was not born yet, she grew very fond of it. So she had to decide between her husband and the child. Even though it was a difficult choice to make and it would completely change her life, Julia had the courage to stand up for what she knew was right and she did not go through with the abortion. By using these two examples, I think that De Rosnay is trying to develop the theme that it often takes more courage to stand up for what you believe is right than it does to just do as you are told. In many cases taking the easy route can later cause much distress in your life. Julia eventually found out that her husband was still in love with Amelie, the women he had an affair with in the past and continued to have an affair with. Julia was better off breaking away from his unfaithfulness. A difficult conflict that Julia faces in this novel is that of whether or not to get an abortion. Her husband, Bertrand made it very clear that if she did not get an abortion, they would be getting a divorce. He was having a midlife crisis and felt that this child would ruin him. Julia had to chose between her husband, and her unborn child. Her sister Charla reminded her that it is Julia’s child too. If she wants to keep it, then Bertrand has no right to make her do otherwise. When reading the novel, I could really tell that Julia did not want to abort the child. She really became attatched to it and it pained her deeply that Bertrand did not feel the same way. Despite her feelings she makes all the appointments to have an abortion. Right before the operation, something makes her realize that this is not what she wants. She gets up and leaves the hospital without an abortion. I was very happy that she did this. If she had went through with it, I think she would have been very disappointed in herself. It was very selfish of Bertrand to ask her to abort the child that she wanted so much. He was not loyal to Julia as he had been having an ongoing affair with a woman named Amelie. If she aborted the child and found out about his affair with Amelie I think that Julia would’ve been devasted. One of the main historical events that this novel talks about is the Velodrome d’Hiver Roundup. This was a massive arrest which took place on July 16 and 17, 1942 in Paris France. The Nazis ordered this roundup but it was the French police who carried it out. 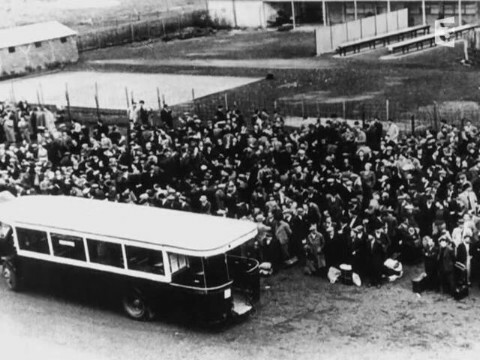 13,152 victims were arrested and held at this stadium until they were shipped on cattle trains to Auschwitz. There they faced extermination. This novel examines the story of Sarah Starzynski, a young girl who escapes from this camp and is taken in by a farmer and his wife. Although this is not a true story, many of the events reflect what so many Jews went through at this time. “Vel’ d’Hiv Roundup.” Wikipedia. Wikipedia, 09feb2011. Web. 24 Mar 2011. <http://en.wikipedia.org/wiki/Vel’_d’Hiv_Roundup&gt;. Throughout the rest of the novel I found there to be three main conflicts being developed and resolved. The first being about Julia’s struggle to find out the story of Sarah and where she was. Her research took her to Gaspard Dufaure. He was the grandson of Jules and Geneviève who spent a lot of time with Sarah as she grew up in that family. He told Julia that Sarah had moved to the United States when she was 20 to start a new life and try to forget about the past. The last the Dufaure family heard from her was that she was going to get married to a man named Richard Rainsferd. They did not know where in the States she was living or anything else about her whereabouts. 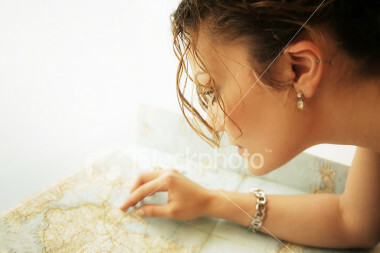 After more searching, Julia finds the address of Richard Rainsferd in Connecticut. When Julia arrives there, she finds that Sarah died years ago in a car accident. It appeared that she had slipped on black ice and ran straight into a tree. Richard’s new wife leads her to Sarah and Richard’s son, William. He lived in Lucca Italy. Julia then travels there to tell him that Sarah will never be forgotten by her and the Tezac family. When she finally meets William she learns that Sarah hid her past from her husband and son. It caused her so much distress that she killed herself. It turns out that she did not slip on black ice, but rather she purposely drove the car right into the tree. This leads to the second conflict. That of William Rainsferd trying to come to terms with the truth that he has now learned. When Julia made him aware of the realities his mother went through he had a lot of difficulty with it. At first he is very mad at Julia for telling him this, but eventually he accepts it and appreciates what she told him. His wife didn’t understand what he was going through and he could not explain it to her. The two ended up divorced. He starts to figure things out in his life and he moves to New York. Later he meets up with Julia once again to talk to her. It seems that they have a connection between them and they both truly care about each other and what they are going through. De Rosnay does not reveal if the two end up together but it appears that this might be the case. Similarly the last conflict involves Julia and Bertrand. Julia really wants to have the child she is pregnant with. On the other hand Bertrand does not want it in his age. Julia has to decide between the child and her husband. In the end, she chooses the child. Bertrand told her that if she had the child, they would need to get a divorce. That is what they did. When this happens, Julia finds out that Bertrand is still in love with the women he had been having an affair with, Amelie. After all this, Julia decides it is best for her to move to New York city. When she is there she ends up meeting up with William once again. She has a boyfriend there named Neil but she doesn’t truly love him. As mentioned above, De Rosnay does not tell the reader if anything happens between Julia and William. I think the two end up together as they have such a strong emotional connection. The child that Julia ends up having is a girl. She knows without a doubt to call the girl Sarah. The first setting from the past only changes once more. After the authorities find and take Rachel away, Sarah remains living with the Dufaures. She is determined to go back to her apartment in Paris to make sure her brother is alright. The Dufaures accompany her on this trip as it would be too dangerous for her to go on her own. Despite challenges, the three arrive at the apartment. Sarah anxiously runs up to her room to find another family living in her apartment. Brushing past them she races to the cupboard and unlocks it. Once she finds her brother is in there and has died the Dufaures take her back to their farm. She remains their until she is 20 years old and they raise her as their own daughter. This is the end of the setting in the story from the past. The second story remains in France for the most part. Towards the end of the novel Zoe and Julia go on vacation to Long Island to visit Julia’s sister Charla. Their visit to Long Island is short lived as Julia goes on a hunt to find Sarah. Initially she goes to Connecticut where she believes Sarah lives with her husband. Once she gets there she realizes that Sarah has passed away but has a son who lives in Lucca Italy. Determined to tell him that Sarah will forever be in her memory, Julia, along with Zoe, fly there to meet him. The visit doesn’t go as well as planned as Sarah’s son William did not know about Sarah’s past. 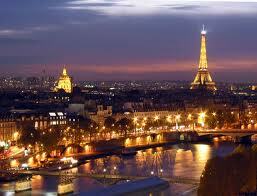 The setting switches back to Paris France for a short time as Julia and Bertrand figure things out. Eventually, the two divorce and Julia moves to New York city to start a new life with her two daughters. Regardless of the research an author does, historical fiction cannot be relied on as a historical fact. The author of the novel is writing about a world that is most likely not familiar to them. The past is a foreign or even alien world. 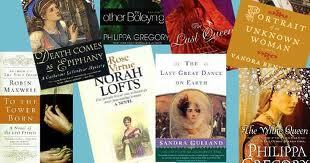 Readers enjoy historical fiction as “it’s a form of time travel.”(1.1). There are books on everyday life, but these should not be relied on too much, as they cover too long of a period of time. A book that covers a time period such as the Middle Ages is a stretch because it is a period of at least five hundred years. It would be much more reasonable for a historical fiction writer to cover a time period of ten years or less. “Details often are crucial to the story.” (2.6). Small details, such as how the characters make breakfast, or operate their transportation, help the reader to understand the story and the time period more fully. Spot research is also crucial. It will not be a huge part of the novel but it adds invaluable depth and texture. All historical fact is in some way fiction. It always seems that history is written by those who won the wars. One does not often hear their country speaking of when they lost. The closest to truth one can get, is the words of people living in the particular time period. 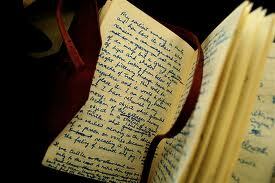 This can be retrieved through their letters, diaries or memoirs, plays, novels, and political speeches. Often writers will misunderstand this information as it is from another time period and a different part of the world. “Historical novelists are interpreters of the past for readers in the present.” (4.4). Facts alone may not get across the truth the author is trying to convey. Often times the writer has to use language that will best convey the truth to the modern reader. “One key to the future may lie in the past.” (1.2). American’s like to read things that are at least similar to history. Historical fiction offers suppliers a favourable supply-and-demand balance. There are not many writers who are willing or interested enough to develop the techniques that are required for writing historical fiction. Editors are interested in historical fiction as “a well-written historical can break up the repetitive, mind-numbing monotony.” (1.5). It gives history a welcome change of perspective, but often times writers only use contemporary TV and movies as their frame of reference. Writing historical fiction does place unique demands on the writer, which would include the need to keep reading history. “Fiction writers are entertainers, not scholars.” In these novels, history does not dominate the story. Instead, it merely provides a backdrop or for the novel to take place. Writers need to collect data from the period they are writing about. Special attention must be shown to details such as vocabulary, clothing, and money. Historical fiction also requires careful editing to avoid embarrassment on the author’s part. These writers must monitor their language so the ideas do not sound too contemporary. “Writing historical fiction isn’t for everybody, so those who develop a skill for it will definitely find receptive markets.” (4.4). Historical fiction should be a mix of good fiction and good history. Writers of history interpret it by selecting, describing, and explaining historical evidence. These interpretations are subject to endless revision over time. They differ between who is interpreting it, just like the loser’s version of the war never matches the winner’s. “Authors and publishers have become sensitive to how their books portray people who were often overlooked or patronized in earlier literature.” (1.3). Many times, historical fiction that is written for children avoids the unpleasant realities of the past and shows happy, but historically doubtful stories. These authors have removed the less attractive pieces of the past to make their novels meet the social and political preferences of today. Historical fiction does include some facts, but they often play the modern sensibilities. The characters experience their current society like they are time travelers, where there is no racism, sexism, and religious bigotry. These novels are putting the truth at stake. They often show rebellion as “nearly painless and nearly always successful.” (4.2). Historical fiction often overlooks those who suffered greatly due to their rebellion. Most people in society are not rebels like these novels show them to be. As members of society, they share its convictions. Historical fiction writers make their protagonists exceptions to their cultures. Because of this, the reader does not learn much about how people of a past society saw their world. Historical fiction suggests that these people of another time understood or should have understood the world as we do now. This drains human history of its fine distinction and variety. In reality, these people saw the world differently. “Historical fiction is not only a denial of historical truth, but a failure of imagination and understanding that is as important to the present as to the past.” (4.5). Beverly, Jo. “Historical Fiction.” The Writer (Boston) 118.7 (2005): 36. eLibrary. Web. 28 Feb. 2011. <http://literature.proquestlearning.com/quick/displayItem.do?QueryName=criticism&ResultsID=12DD4984FD3&forAuthor=0&ItemNumber=52&gt;. MacLeod, Anne S. “Writing Backward: modern models in historical fiction.” The Horn Book Magazine (Boston) 74.1 (1998): 26. eLibrary. Web. 28 Feb. 2011. <http://literature.proquestlearning.com/quick/displayItem.do?QueryName=criticism&ResultsID=12DD4984FD3&forAuthor=0&ItemNumber=79&gt;.